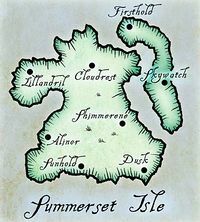 A set of islands are shown off the southwest coast of Summerset in many maps. 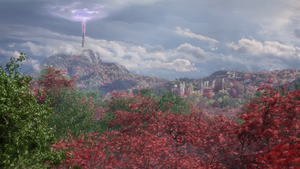 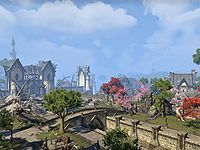 According to datamined ESO files, they were called "The Pearls", but did not end up appearing in the accessible parts of the zone in the game. 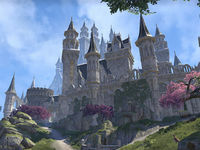 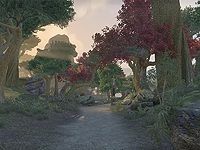 An unnamed island off the northeast coast of Summerset in ESO also serves as the location of the town of Belport Run in Arena.